On Thursday, 23 June 2016 at 7:00 pm, the Hamazkayin Lucy Tutunjian Art Gallery proudly launched the exhibition of famous artist Hrair and his sister, Annie Diarbekirian-Saade. This unique exhibition unveils the deep creative roots of a lineage through a beautiful bouquet of Hrair’s signature paintings from different phases of his creative life displayed alongside his sister, Annie Diarbekirian-Saade’s, expressive and vibrant canvases rich with beautiful colors and motion. Pride of the entire nation, Hrair has won pan-Lebanese and international status through his distinction and influence. 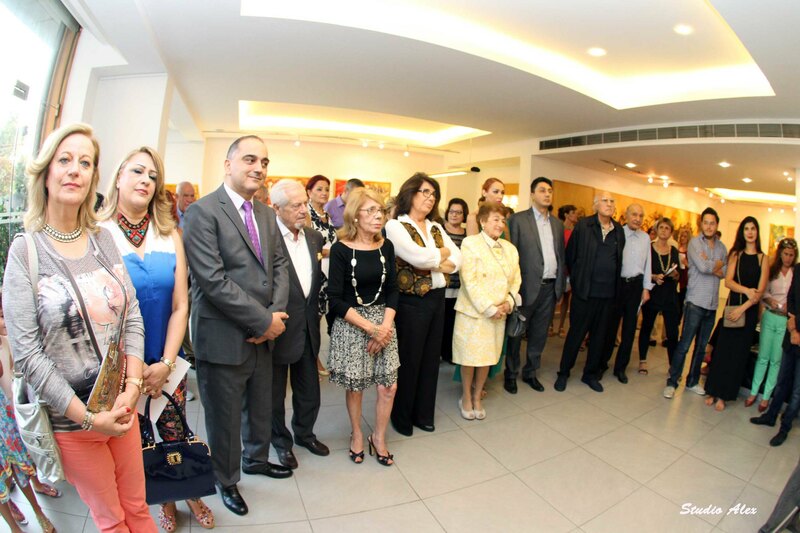 During the opening ceremony, artist Misak Terzian, member of the Hamazkayin Art Gallery Board said that this exhibition has a unique vibrancy as it presents a bouquet of the rich artistic inheritance of the Diarbekirian family. He wished that this exhibition would introduce this rich legacy to the new generation. The exhibition will remain open till the 16th of July, 2016. The Hamazkayin Art Gallery is open every day except Sundays from 9:30 am till 6:30 pm.